Welcome to this wonderful Centennial home! 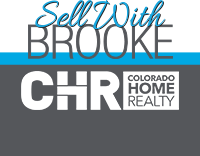 Situated in quiet Madison Park Neighborhood, the home also offers amazing access to Denver Tech Center, parks, recreation, shopping as well as award winning Cherry Creek Schools. Enjoy the beautifully updated (2016) kitchen with glass tile backsplash, granite counters, sleek cabinets, stainless steel appliances and custom tile floors. The kitchen and dining open to a deck perfect for entertaining! The first floor also features two bedrooms and remodeled main floor bath (2017). The spacious backyard opens to the homes family room with fireplace. The garden level boasts 2 additional bedrooms, 3 / 4 bath and a bonus / flex space perfect for game, play or exercise rooms! 2 Car Garage with TONS of loft storage! New tamko weather resistant roof with 10 year transferable warranty!!! UPDATES: New garage opener and carpet (2018) Interior paint (2017) Exterior paint (2016) Furnace, water heater, AC and windows only 5 years old.